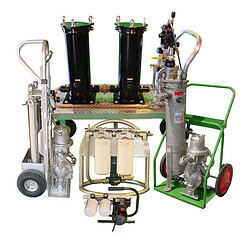 Are you working with any compressed air equipment? Have you been having any problems with the units? Are you using the highest-quality filter elements? For compressed air/gas applications, the filter medium borosilicate glass microfiber seems to work best for coalescing and removing liquid aerosols. This type of filter media neither absorbs nor adsorbs liquids. 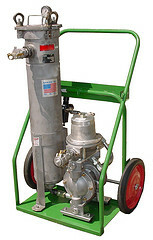 It retains its physical structure, even when used in industrial filter applications. Borosilicate glass microfibers naturally repel water, so what forms on the fiber are liquid droplets, not a film residue. Since liquid droplets accumulate on the inner layer of the element, it naturally drains off toward the outer diameter of the element. Using these borosilicate filter elements is the best way to extend the life of your compressed air equipment. 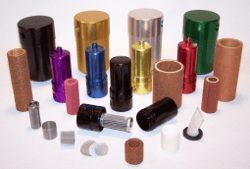 Perhaps you’ve been using other types of gas filter elements, such as pleated paper, baffles, plastic, or metal? The problem with these materials is that they don’t preserve themselves as well as borosilicate glass microfibers. For example, paper elements have fibers but they tend to absorb water like a sponge, which reduces the element’s life-span. Baffles can be efficient at removing larger contaminants, but contamination in compressed air lines is usually in the form of fine mist. They don’t usually work well for filtering these smaller particles. As for metallic and plastic elements, they don’t even have any fibers to turn liquid contamination into droplets. A film builds up on these elements, which again reduces their long-term effectiveness. Our coalescing filter elements are all made with borosilicate glass microfibers, bonded together with a resin binder. That means there are no end-caps, sleeves, or plastic retainers to diminish the ability of the element to provide excellent results. Glass microfiber filter elements provide the highest filtration efficiency while maintaining economical costs and ensuring long term life. Do you have a question about filter elements or filter media? Feel free to contact us anytime. Our friendly team of experts will be happy to help you out with your particular issue. I am looking for a coalescing filter which is used at the upstream of a adsorbant type dessicant dryer.Since this dryer needs purging to remove the residual mositure from the compressed air and this regenerate the dessicants.So the dryer air will be used for purging . this purge air will flow to the atmosphere through the filter and thus the filter should be allow for bidirectional flow. 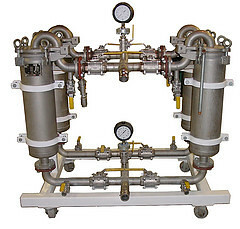 We do not believe this is available, but you may be able to utilize check-valves and a second coalescer for the returning flow. We really need to know more about the application (Flow, pressure, connection size, air / natural gas). 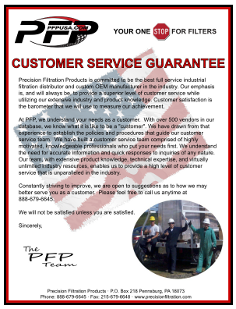 If you are interested, we can give you a more thorough answer (and a price quote on any necessary parts) if you fill out our Application Data Sheet and send it to our sales team using one of the methods listed on our Contact page.